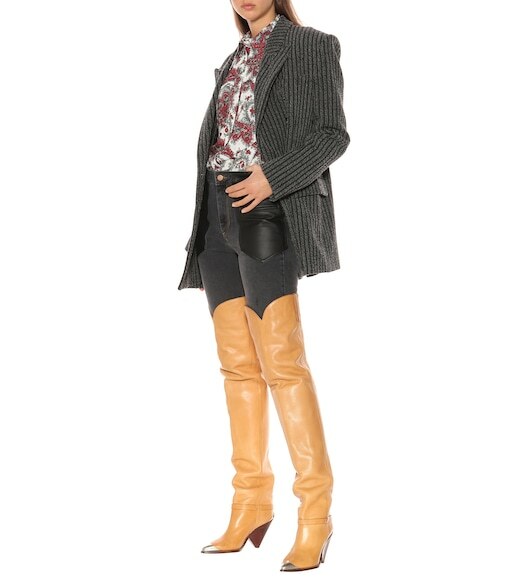 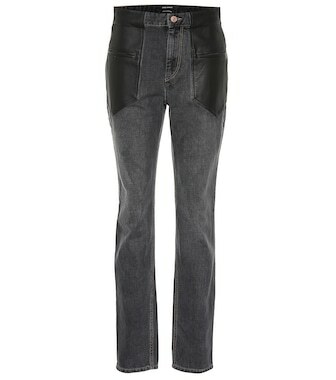 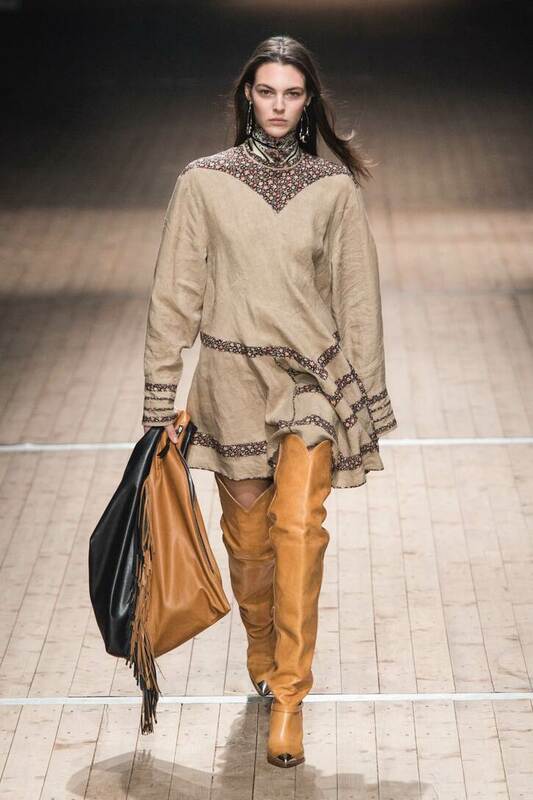 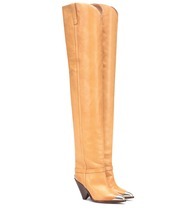 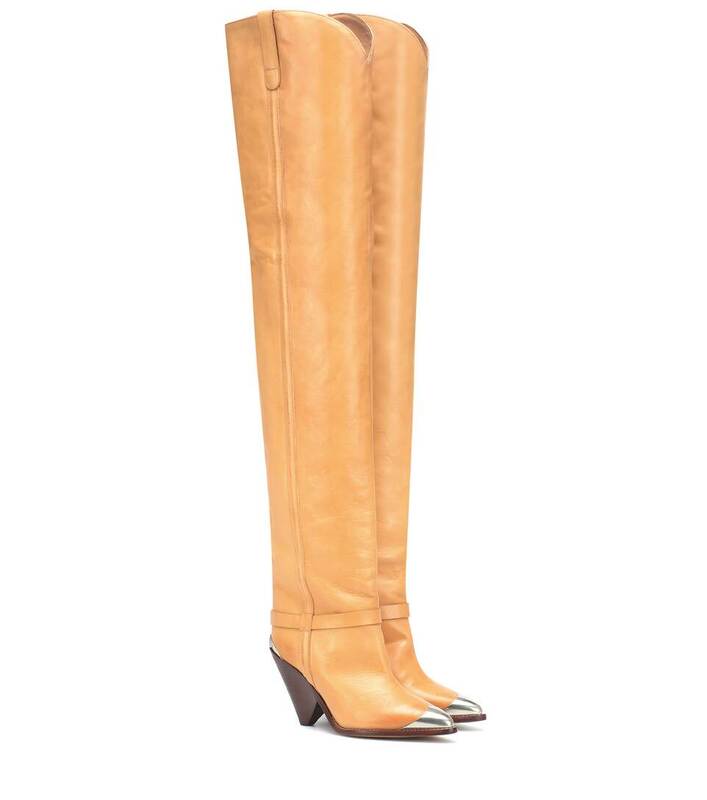 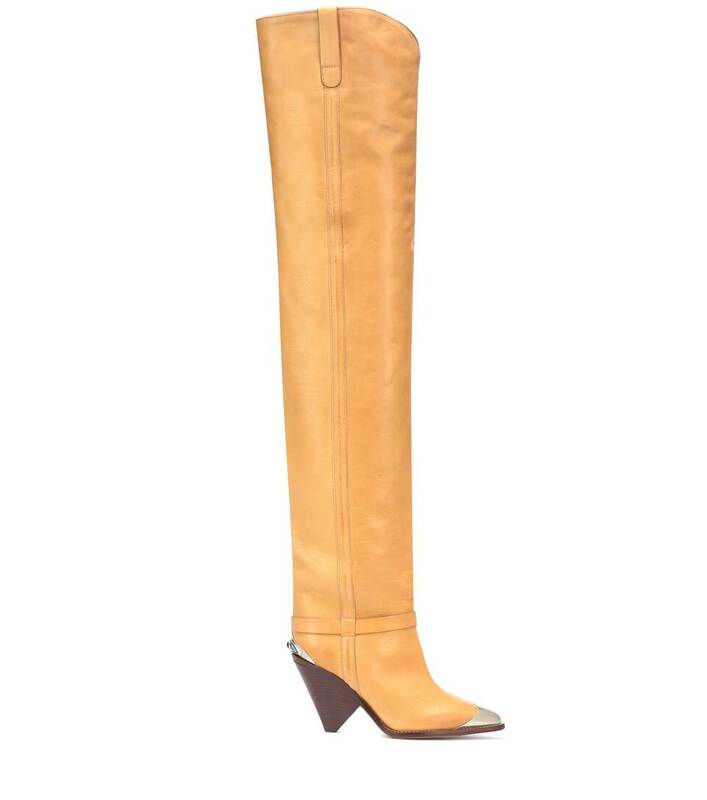 Isabel Marant's thigh-high western-inspired boots are a must have for this season. With metal inserts on the pointed toe and above the conical brown heel, this natural buttery beige pair finishes in an over-the-knee silhouette with a curved top reminiscent of Americana-style cowboy boots with a modern edge. 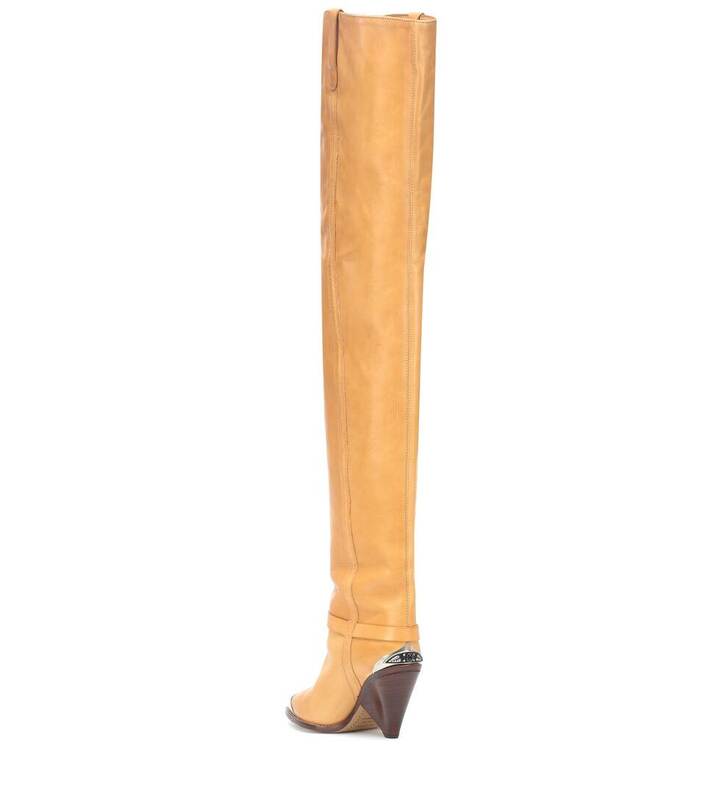 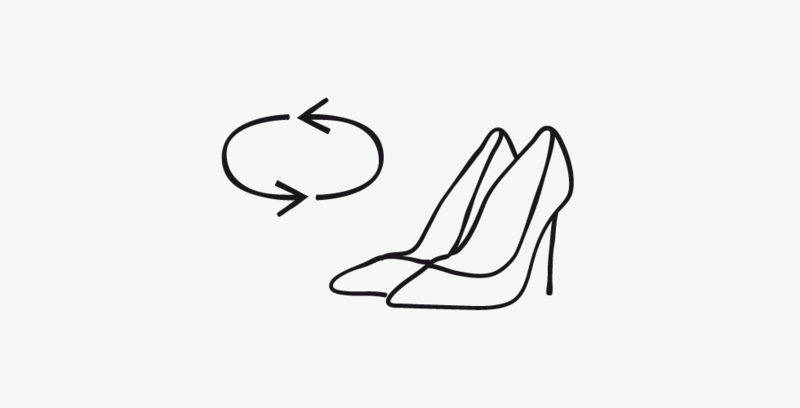 Wear yours under miniskirts to make this style the focus of your outfit.